Latest technology workshop and highly trained staff will guarantee the perfect ski treatment. Professional, convenient, safe, Deghi Sport ski rental is a landmark for all ski enthusiasts and for your unforgettable snow holiday. Skis always tuned for your best ski experience. The Skiman's advice What kind of skier are you? 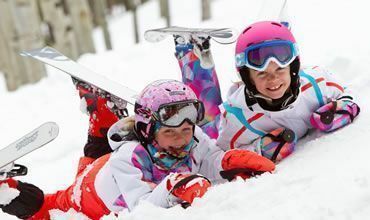 You need a pair of skis which give you self confidence and help you set your turns, easy carving skis are perfect to get you started with fun! 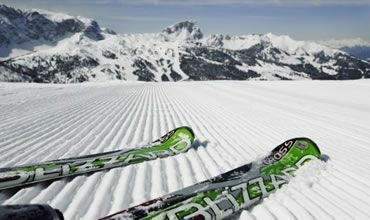 Soft skis are versatile, easy to turn and won't take much effort, they' re good recreational skis for beginners. 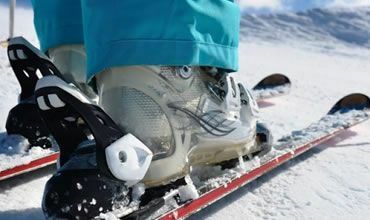 The right ski boot is critical to have fun and to properly master your skis. We have appropriate ski boots for every ski performance level. The all mountain skis are good for general use, are designed to be easy and balanced, they're a real confident booster and will allow you to ski comfortably all day. When tune a pair of skis? 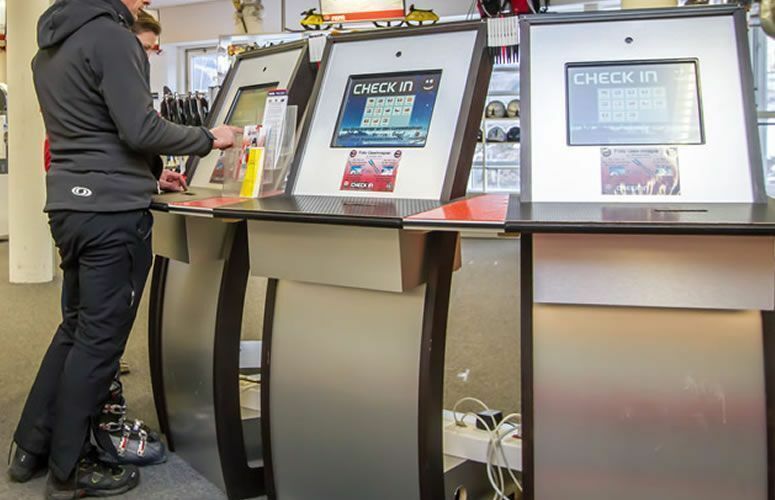 It's good rule to keep your equipment perfectly tuned, when skiing becomes difficult and uneasy, it s time to intervene with a full check up service in a professional ski center. What is the side cut? Every ski model has specific geometric characteristics which influence their performance. The side cut is the difference In tip/waist/tail width. Width dimensions decide the radius (the radius measured in meters of the circle that would be drawn if you were to extend the edge into a full circle), A big difference in tip/waist/tail width creates a short radius.which allows you to carve tight turns. A smaller difference creates a larger radius which makes turns more demanding. 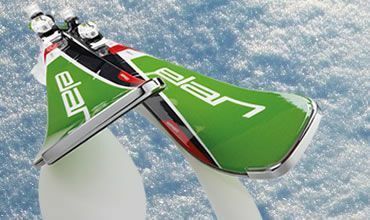 Giant Slalom skis are eligible for on-course performance at a high speed and guarantee optimal balance and grip on hard pack. They're suitable for good skiers who like wide turns. Slalom skis have short radius and guarantee a quick transfer from edge to edge, they allow to carve tight turns and will feel more responsive on course. Edge Angle at 89� or 88� ? 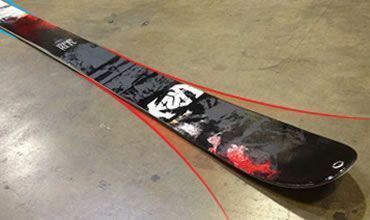 Ski edge angle varies based on performance required. For a giant slalom ski a tuning between 0,5 and 1 is recommended with an angle of 88� or 87�. 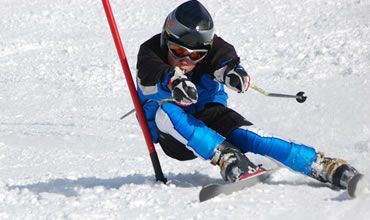 For a Slalom racing ski a tuning between 0 and 0,5 is recommended with an 87� or 86� edge angle. I always have a positive experience from renting ski equipment here. High standard of equipment. Often brand new boots. Friendly and helpful staff happy to sort out any problems or change equipment if needed. Situated right next to a couple of chair lifts and with heated lockers available to keep your equipment in if your hotel ski room is not very secure. Have rented from them twice and will do so again. Very friendly, spoke great english, the equipement was good and we got outfitted quickly. 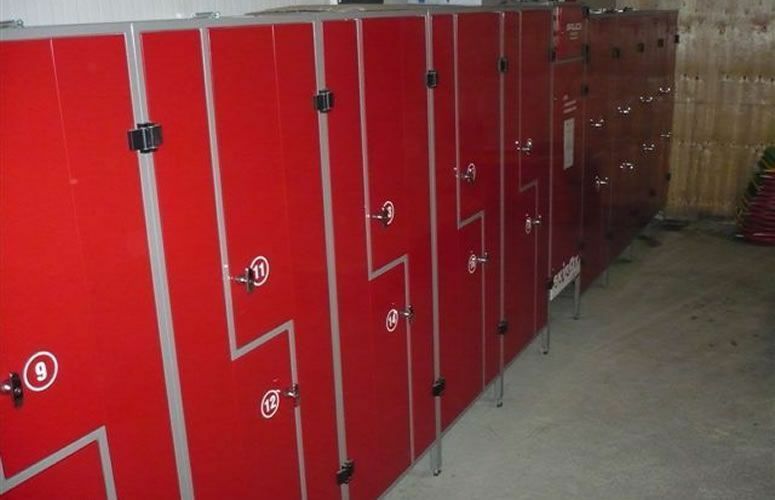 Once again, friendly and helpful service and the use of lockers to store our equipment at a good starting location for access to the slopes made a big difference to us this year. Excellent service, skiing was great and I'll definitely be coming back and will be using Sport deghi again for my equipment! 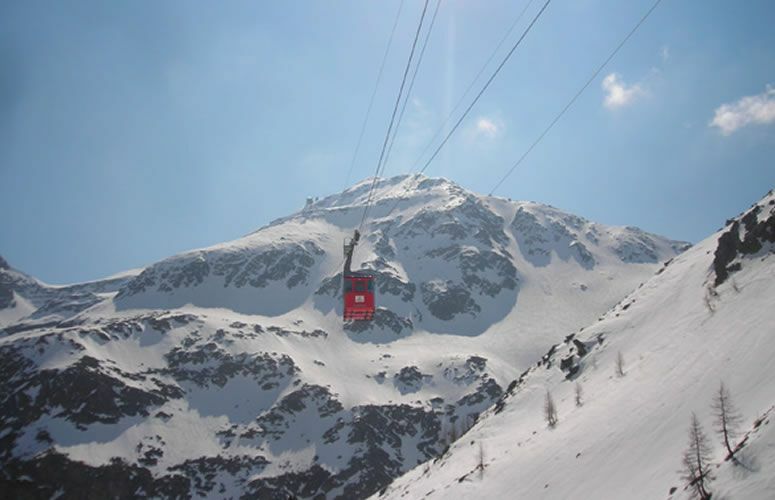 Rental process was very easy and because I prebookedonline it was very inexpensive and I was up and on the slopes within 15 mins of arriving in Madesimo! I arrived at the opening hour and I was received with courtesy. I asked for advice on the material and I received skis that according to the owner were more suitable for the day. As the Ski facilities were still closed, I took the opportunity to wax the skis. Excellent materials and adequate price. It's okay. Lovely staff, very friendly and efficient. I would say that the shop fully meets my needs, efficient, practical and very convenient for nearby installations! very kind and competent staff! My I come and get my skis the day before? Sure! 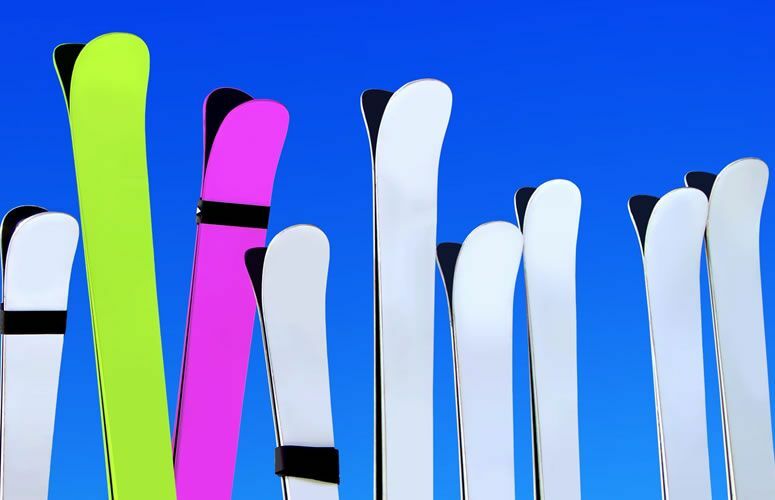 After 5 pm, you can come and get your skis for the day after, you can always enjoy our ski deposit service and leave your equipment in your private lockers. If I break the skis will I have to pay their full cost? 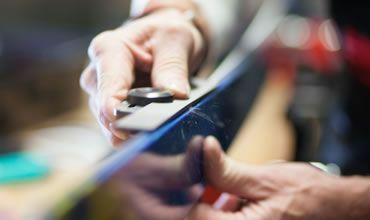 High quality and continued renewal of our equipment makes breaking skis a very remote chance. 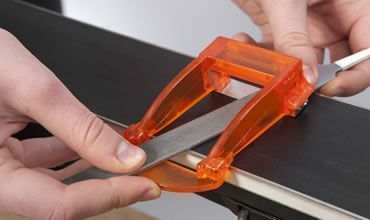 Nevertheless the Rent-all renting software program provides us with all info about how long a pair of skis has been used and the degree of wear and tear so to determine the actual value for possible reimbursement. Is it better to book for equipment in advance? Or do I find it always? Availability is great, It is preferable though to book in advance, especially during bank holidays , school breaks and week ends. What is the biggest ski boots size? 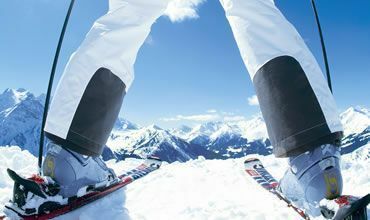 We have availability for ski boots reaching size 51 (mondo point 33) and we have specific easy fit boots for big calfs.